Weddings in India are larger than life; they are a celebration of life itself. No matter what your standard of living, marriages are very special in the Indian society and are celebrated with great pomp and show. As Karan Johar movies go, “marriages are made in heaven and happen once in your life time”, so you would like to preserve them for generations. This is one of the primary reasons why everyone is crazy about photography in weddings. Today with technology taking the driving seat of our life, we have a point and shoot camera always present in our pocket in our phone. Everyone today is a photographer with a DSLR camera but then there is enough demand for a professional photographer. If you are lucky you get your album of memories delivered in a weeks time or maybe after your honeymoon. In my case I wasn’t lucky; the drive with our wedding photos got corrupt. If this is the case today then life would have been tough seven years back with no digital footprints in the country. Marriages were important then too, but the marriage albums took close to three to four weeks to be delivered. This is just one album or two, what happens to your aunt or grandfather who live in different locations. In short digital photography and providing quick services was a market waiting to be tapped. There were some traditional players trying to tap the market but they lacked the intent of adopting technology. Canvera saw this as an opportunity. 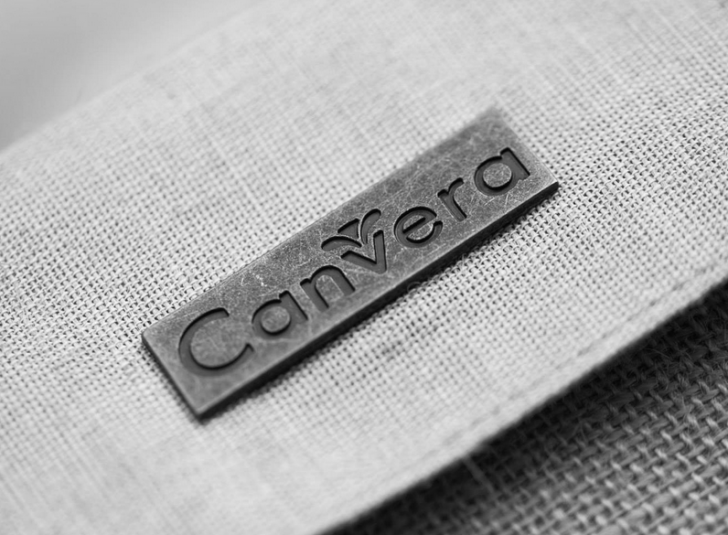 In fact the word Canvera is a Sanskrit word which means ‘platform‘. The seven year old Bangalore based startup was started with the objective of tapping this untapped market. Started by Dhiraj Kacker and Peeyush Rai in 2007, today the startup is an online photography business providing mass customized printed products and e-commerce solutions to professional photographers. Over the time the company has managed to engage with more than 20,000 professional photographers in the country by being present in 400 cities. Technology has been close to Peeyush’s heart, having spent his younger days in Bhopal. Later he did his engineering from IIT Mumbai. While recollecting his childhood days on a Friday evening over a coffee, he shared that as a child he was quite lucky to have a camera gifted to him. Not that he took photography as a profession later but he was quite proud possessing a camera back then. Living and working in the US, he observed how digital grew and became an essential component of life. In India, despite the digital revolution not growing at the same pace, he was of the belief that it will happen in the country sooner or later. However he felt that digital services will somehow fall short to serve the digital hunger of consumers in India. The digital offerings in the country were close to negligible; even if there were some traces of digital the service being offered wasn’t up to the mark. Finally in early 2006 Peeyush felt that this could be an interesting area to venture in and try out. He discussed his idea with his good old engineering friend Dhiraj. Their friendship goes back to the IIT days where they got to know each other while playing and winning cricket matches for the college. 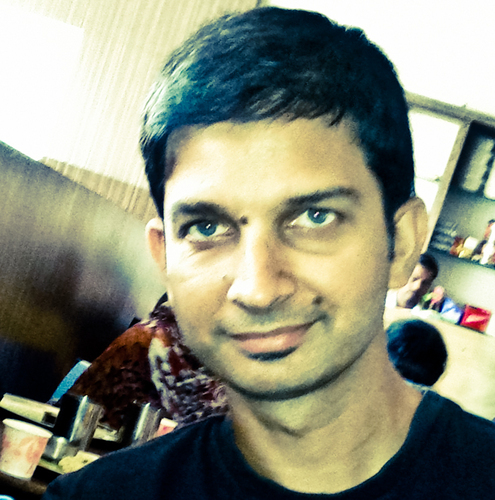 A passionate shutterbug Dhiraj is the CEO of Canvera. His immense experience in the digital imaging world has been one of the pillars of growth for the startup. Finishing up his graduation in 1993, he went for his PhD in electrical engineering. During his Phd days his research area focussed on subjects like digital imaging and printing. After a few jobs in digital imaging, he joined Shutterfly, a business-to-consumer online digital photography company, as an engineering manager. In a time frame of less than five years at Shutterly, Dhiraj was responsible in developing the core imaging and workflow automation technologies. At Shutterfly, he along with a colleague, was granted seven patents in imaging. All this while both engineering friends who had been chasing different interest areas kept in touch, so when Peeyush discussed his idea Dhiraj was all ears. “Peeyush wanted to know if I was interested in moving back to India to start a company with him. We talked for a bit on the phone and 5-6 weeks later we met face to face in the US on a Sunday morning and talked for 3-4 hours over brunch. We decided to meet on the coming Wednesday and discuss again,” shares Dhiraj in his blog post. The initial idea was of building a business around camera phones but the co-founders soon realized that it would be tough to build a business model around it. Besides the digital adoption in the country wasn’t that great so from an online model, the startup focused on bringing a balance of online and offline model. From a pure B2C model the startup focused on a B2B2C model. With an extensive research, the duo realized that back then India witnessed 12 million weddings annually. Additionally, 3-4 million digital cameras in the country were growing at 30-40% year-on-year. Professional photographers formed a key component, with 50-60% of the revenue coming from weddings alone. The market had scope but it was unorganized with low quality offerings. So the startup decided to position itself as the only organised player offering print and design services to professional photographers. To get things rolling Canvera started functioning from the residence of Peeyush while being bootstrapped. The company raised its first round of funding by November 2007. With fresh capital the startup grew its team and offerings products such as customized wedding albums, photo-books, calendars and traditional photographic prints and in March 2008, the company website went live. The business started flourishing slowly and one of the reasons has been the startup’s core belief in technology. Peeyush shares that for the first three years he was busy in setting up the entire technology and engineering department. Over the years Canvera has introduced new types of Photobooks with different cover and paper options. Dhiraj’s experience as a part of the core R&D team at Shutterfly when photobooks were first introduced into the market came as a big help to Canvera. For its innovations the startup was the winner in the Photo Book/Coffee Table Book segment at the Asia Pacific and Japan HP Digital Print Awards 2008. In fact Canvera won the award second time in a row in 2009 Beijing, China. Talking about the back-end systems, Peeyush informs me that Canvera is powered by 6 software product lines. Some of these products are the backbone of the internal workflow, some include core imaging technologies and some are products that customers use to design, collaborate and order. The website is the central portal where photographers upload their raw images to be crafted into lovely photo books. With features like manage orders, track shipments, etc. the web based online system also has Canvera Pro Designer that allows users to design personalized products like coffee table books and calendars. The system allows the dual role of enabling its customers (to be read as photographers) to collaborate with their clients on one hand, and designers on the other. These designed products have online preview which enables direct feedback to designers thereby reducing the pain and time to design a personalized product. “In fact, the Canvera Preview product was quite instrumental in bringing many of the startup’s offline customers online,” says Peeyush. The in-house image processing system Canvera Labs also plays a crucial role in colour correction, calibration to the printing systems, and managing different parts of the order through production and eventually bringing them back together to package and ship them. 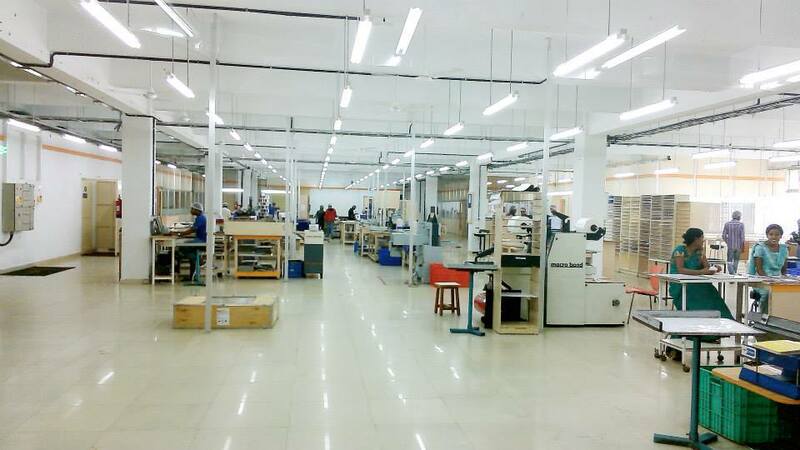 “We have inculcated a culture of innovation at all levels in our startup, be it in the design and manufacturing of Photobooks, operational processes, or Technology,” adds Peeyush while sharing the growth of the R&D team at Canvera. In Jan 2010 Asian Photography magazine awarded Canvera.com the “Best Innovation in Technology” award to recognize the professionalism and innovation the startup had brought to a highly fragmented market. But then creating a personalized website is not easy. There are various elements involved – design, development, hosting, storage, etc. “And if you are in the business of photography, throw in e-commerce, then setting up of online payment gateways is a huge barrier in itself,” Peeyush informs while adding that pictures should be seamlessly accessible on all kinds of devices. Vivyo was the answer where the startup decided to work on an online presentation, e-commerce and social platform for photographers. Vivyo was also built to integrate an e-commerce platform, supporting all credit cards and most net-banking options. It also allows photographers to collaborate with their clients by allowing image proofing and selection, and provides security through private websites and galleries. In June 2013, the startup introduced a very exciting feature for Photobooks. Each Photobook that is shipped now comes with its own website and can be viewed online on any computer or mobile device from anywhere in the world. “Our tech innovations have been driven by the objective of making our products and services more valuable to the photographers and consumers,” Peeyush shares while highlighting that Canvera now hosts the entire customer data on cloud for ease, less maintenance and security. The innovations don’t stop here for the 40 plus tech team which is now working upon a separate brand which will allow individuals and families to manage and share pictures privately. “With this new product that is in closed beta, we want to be a pure play personal photo cloud management solution,” says Peeyush. With web and mobile apps to be launched pretty soon, the service would be similar on the lines of Google Plus imaging options. He also stressed that Canvera, which is witnessing 40% traffic from mobile, is focusing on a cloud based storage with a mobile first design approach in its next phase of evolution. My approach has always been to put the muscle in the cloud and the finesse on the app. Talking about the future ideas that the CTO dreams to enable at Canvera in the coming months, there is speech recognition for image search on mobile and adding more relevance to the pictures consumed by users. 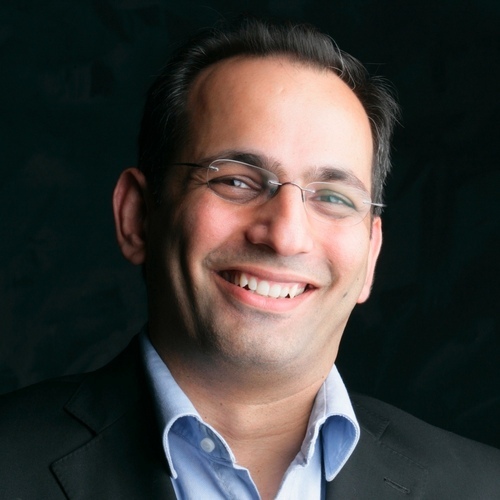 “We have leveraged technology to disrupt this space and we will continue doing it in the mobile first world,” Peeyush says. He believes it will be a mobile economy with Canvera already working on its next tech leap.